1. Christian Benteke is back. 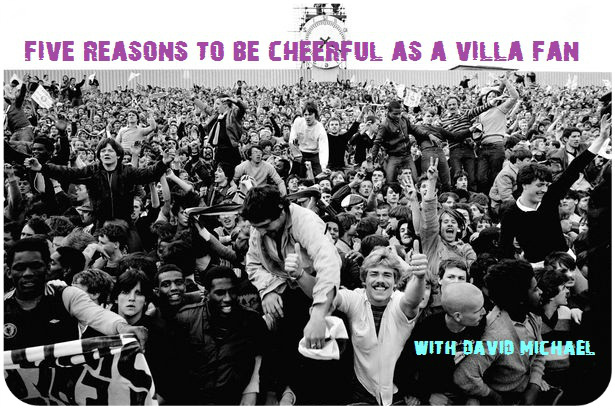 Villa’s talisman certainly lifted the crowd and the team when he arrived on the pitch on the hour mark. Suddenly Villa had a threat again. The 30 minutes would have helped him sharpen up for the campaign ahead, after having limited training time since coming back from injury. 2. Phil Dowd didn’t send any Villa players off, breaking his recent trend at Villa Park in the of October. Maybe it was simply a case that he didn’t need to this time round? 3. Out of the eight games Villa have played so far, seven have been against teams currently in the top half, while only one (Norwich) has been against bottom half team. After another fixture against a top half team next weekend against Everton, life for Villa will get decidedly easier in the run-up to the festive period. 4. Despite the tough fixture list to start the season with, Villa’s points haul is decent enough with only their home form letting them down. On Facebook and Twitter alike, despite this, when Villa lose a game, you’ll get fans declaring Villa are going to get relegated. You can be upset, but don’t be stupid. Not a reason to be cheerful, but a reason to laugh about these pessimists. Chin up. Man up. 5. Following on the heavy-handed ejections of season ticket holders at the Rotherham League Cup game, MOMS received a call from the club admitting it had been wrong in its actions. It followed previous calls to apologise to the season tickets holders in question, expressing the error of their ways. Of course, with many factors involved, the club strive to do the right thing when it comes to security and safety on match days, but it’s good to see they put their hand up when mistakes are made. Hopefully, from here on in, there will be better communication and understanding between the club and supporters to make sure match days run to everyone’s satisfaction. On an additional note, it was good to see the safe standing roadshow came to Villa Park before the Spurs game (at the corner of the Trinity Road stand and the Holte End) to showcase an example of the safe standing rail seats that hopefully will be introduced in parts of the Holte End in the near future.